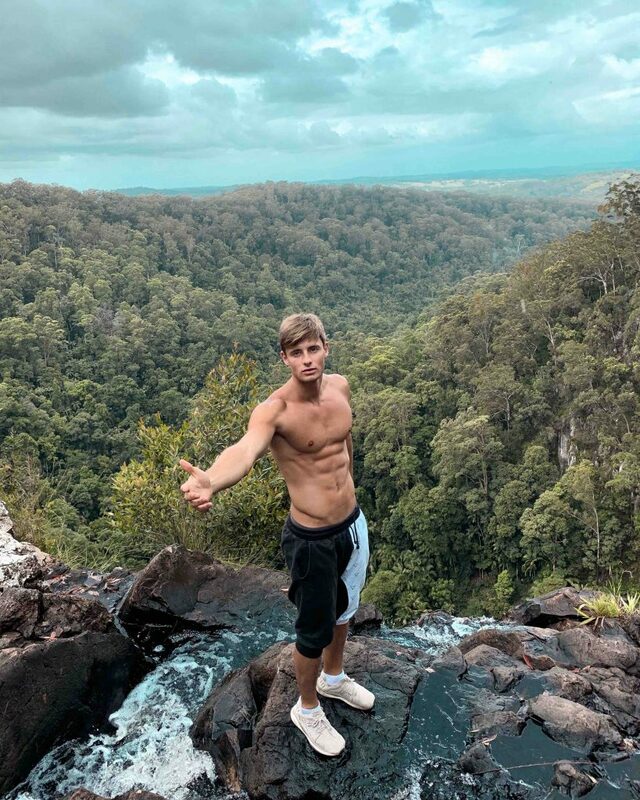 What is Australia without road trips? 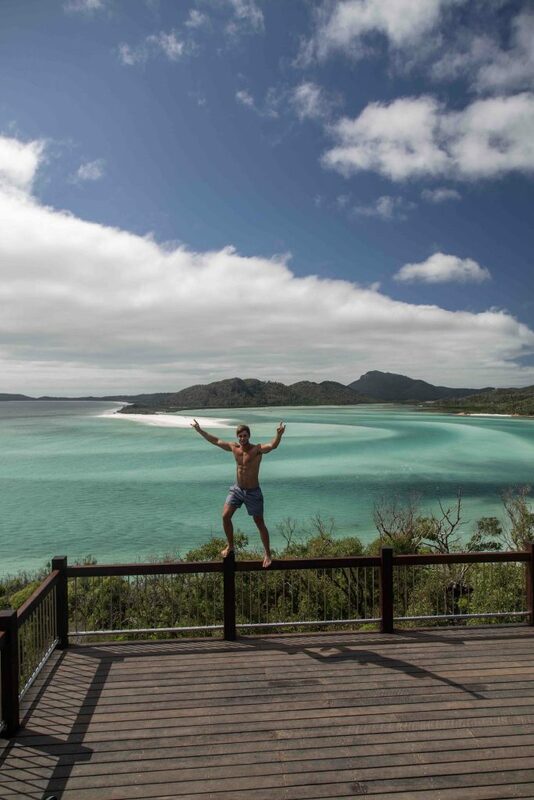 I believe that anyone who visits Australia just wants to have the best time of their lives! And a road trip is the perfect opportunity to have the best time with unforgettable experiences! December 2018 was this time for me. I was on a month-long road trip with my best friends Charlie Taylor, Kevin Delan and Carlos Böttcher! 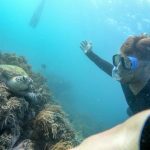 In this blog post I will give you more insight into our great time along the East Coast of Australia! If you go on a road trip, you should definitely think about which campervan to go with! We were a group of 4 so we decided to go with a huge family campervan. On one hand, it lessens some of the road trip feeling. On the other hand, everyone has a lot more space and for a month, sometimes, you need that! We had 2 large beds with 2 people sleeping in each: a bed over the driver’s cab and a bed in the back of the campervan. The route we chose was easy: just along the coast from Sydney to Cairns. 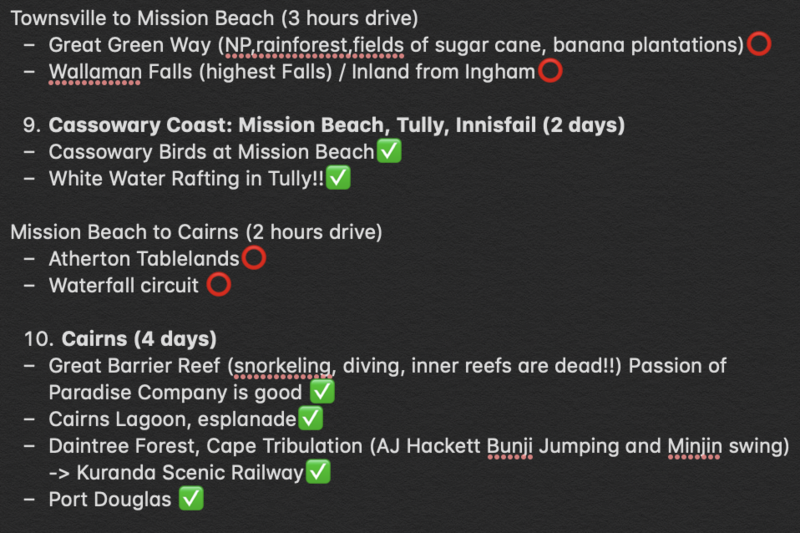 Since I love to plan everything in advance, I planned this road trip quite a bit in advance. Our mission was to get to Cairns in 28 days. 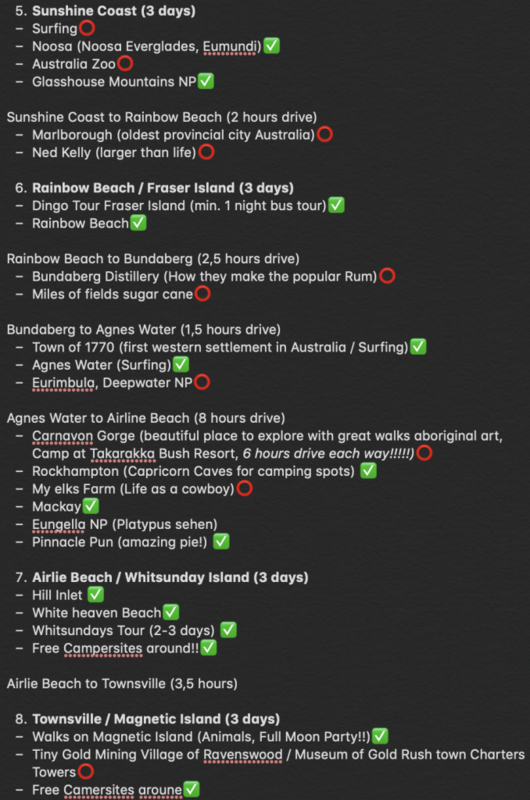 Here’s a screenshot of my road trip planning notes! The first stop was the beaches in the north of Sydney. After we got out of the city, we went to the beach to switch off for a bit! On the second day, we took a walk to the Lighthouse of Palm Beach. Palm Beach is a beautiful place to just relax and enjoy the sunset.The special thing about this beach is that there are beaches on both sides: one faces the sea and the other faces the bay. This is definitely a must see! The following day we drove a bit into the country, in the direction of Hunter Valley. The Hunter region is the wine growing area Sydney and was really lovely. There are so many places to go wine tasting! 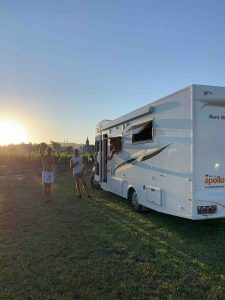 We also went to a festival, which made Hunter Valley amazing, all over again. The beaches of Port Stephens and Nelson’s Bay are stunning! We had an incredibly relaxing time there. 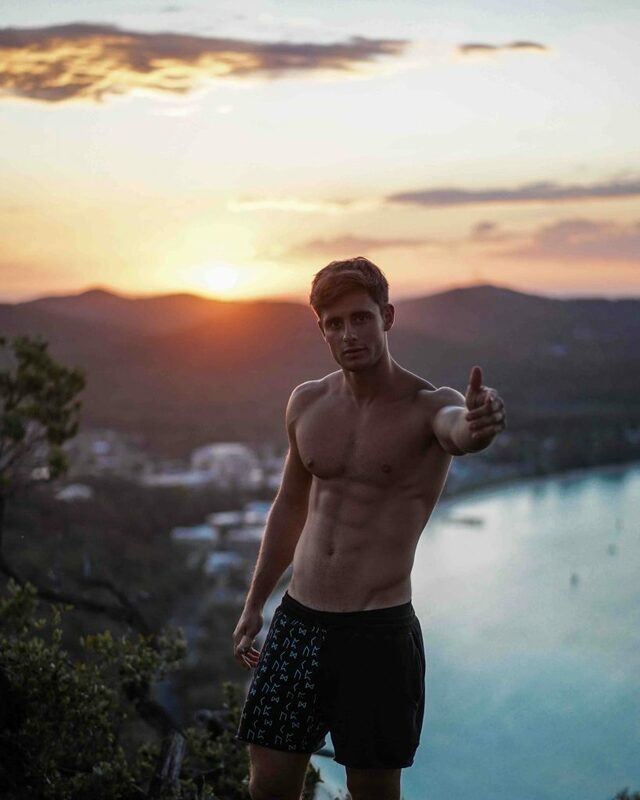 An insider tip is to go to the Tomaree Mountain to see the sunset. The views will transport you to Thailand! With an incredible view over the country, I think it was one of the best sunsets I have ever experienced. Everyone was raving about Byron Bay, so we had to make a stop there. 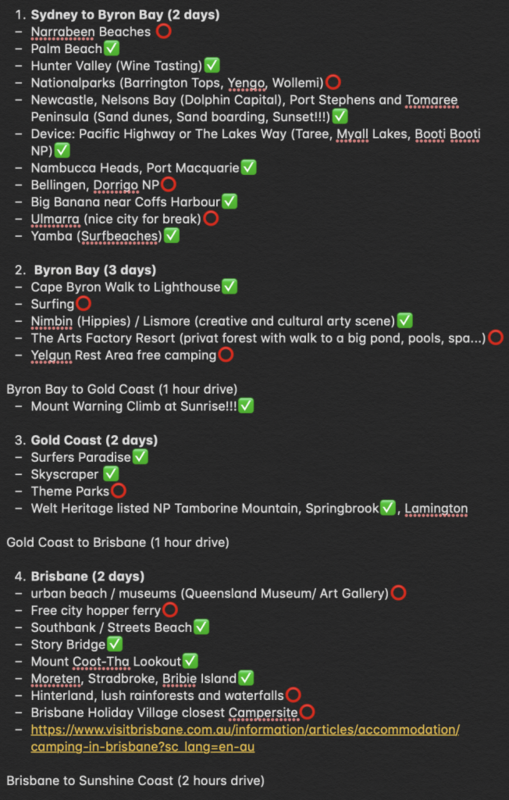 But to be honest, Byron Bay was not that exciting. It is a small seaside town with a lighthouse. We were anticipating the incredible atmosphere that Byron Bay was recommended to have. However, we did not really experience that aura, because we did not live in a hostel. Furthermore, the weather was not the best. Maybe that was the reason that we did not find it as exciting as anticipated. The name Gold Coast alone tells you that it is an incredibly beautiful stretch along the East coast. It is, essentially, a city by the sea with many foothills. The party center, Surfers Paradise, is filled with skyscrapers and is very popular amongst teenagers. 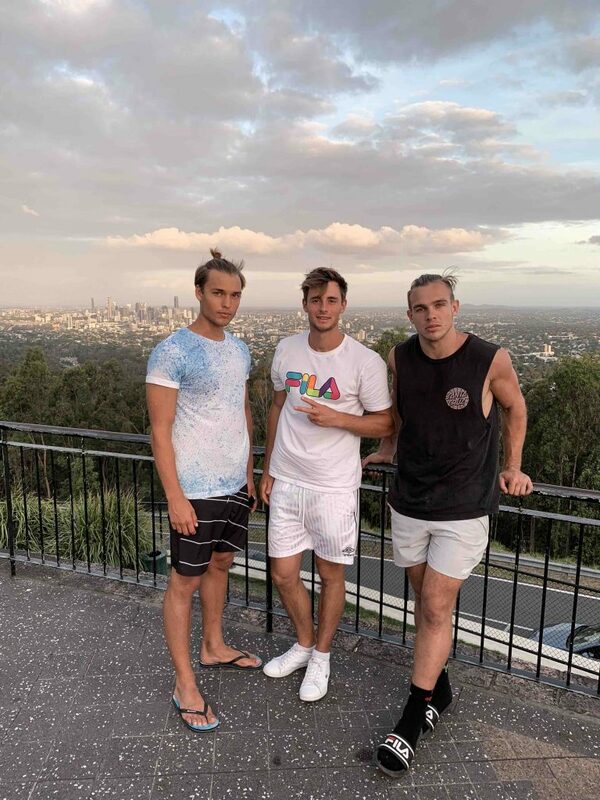 We stayed in a hotel in Surfers Paradise which was loads of fun, with 2 days of partying! Gold Coast was definitely worth stopping at. Brisbane is the largest city in Australia after Sydney and Melbourne. They have a beautiful skyline and we rented the “lime scooters” to commute around. 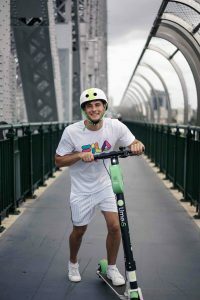 These electric scooters are available around every corner and you can rent them via an app. You pay a few cents a minute and it is definitely worth it, because you get to experience the whole city in a short amount of time! My favorite place in Brisbane is the Southbank. It is on the other side of the river and you have a great view of the city. There are many restaurants, bars and an artificial lagoon that you can swim in! The Glasshouse Mountains are further north of Brisbane. We only made a little stop there. It is an experience close to their beautiful natural flora and you can definitely spend a few hours hiking there. This was my second time visiting Fraser Island. 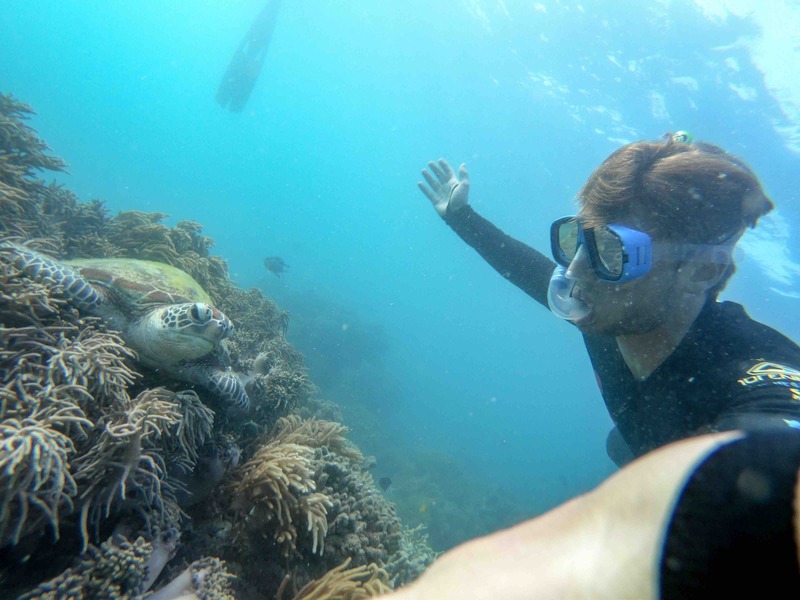 This time we booked a two-day tour to see everything on Fraser Island. I would recommend renting a four-wheel drive from the start, or drive your own onto the island. It is just a lot more fun to spend a week driving on the island. You get to drive on the beach and there are many scenic spots to experience nature in the summer. Airlie Beach was definitely the coolest city I experienced on my trip! It is a small town with many bars, restaurants, discos, and a lagoon. The lagoon is lovely and a great place to refresh yourself. 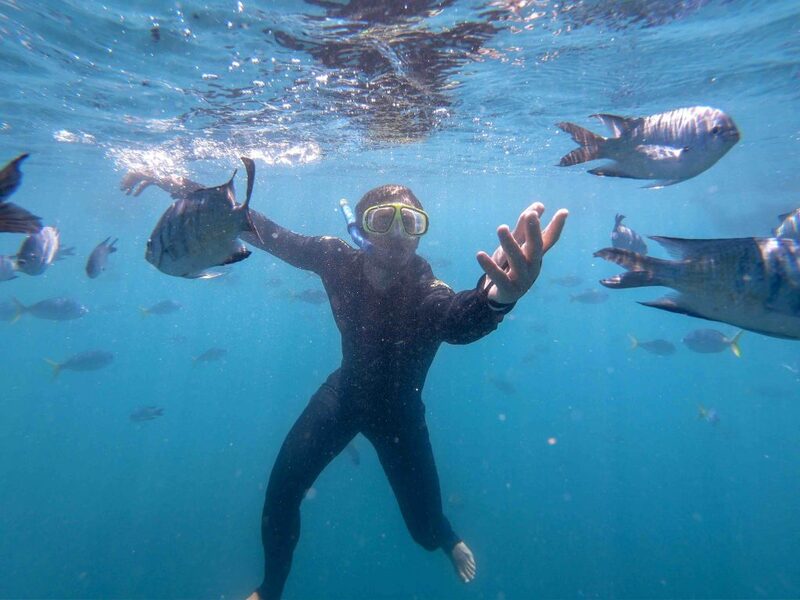 You can spend several weeks, or even months of your trip at Airlie Beach! We visited the Whitsundays on a sailboat and I have to say, Whitehaven Beach definitely impressed me. It is covered entirely in white sand, as you know it in the Caribbean! It was certainly worth it to spend A$450 for the experience. Magnetic Island is a beautiful island, further up north than the Whitsundays. You can definitely spend a few days here. Even though there is not much going on, the island is more about relaxing, hikes and koalas. 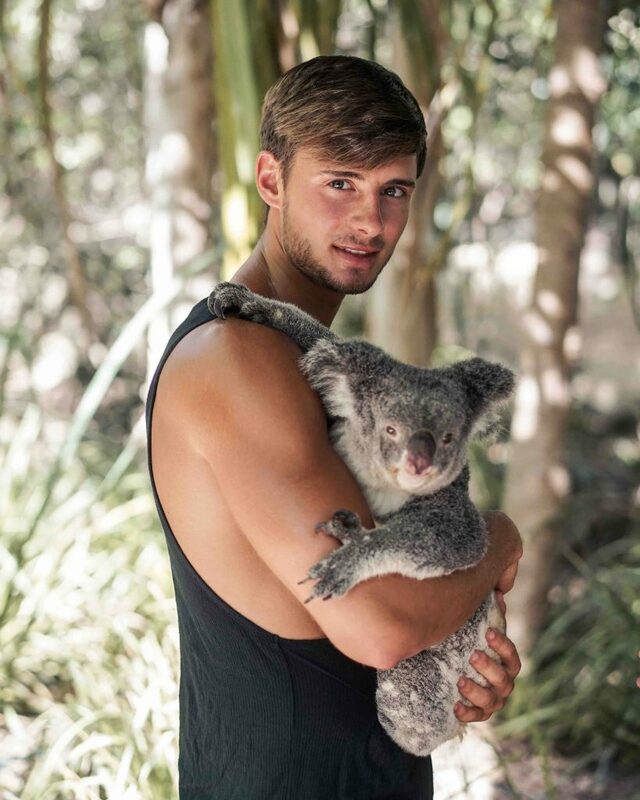 I even hugged a koala! Here, I felt like I was being transported back to Thailand! There were palm trees and coconuts everywhere on the beach. Unfortunately you cannot swim in the open sea because of crocodiles and jellyfishes. There is, however, a cordoned-off area for swimming. It was a lovely opportunity to have visited but this is not somewhere I would stay longer. This is the oldest continually surviving tropical rainforest in the world: 200 million years old, 4 times older than the Amazon! On one square meter, you will find more plant and animal species than in all of North America. It was interesting and eye-opening to visit this „magical rainforest“. Definitely worth a stop. I expected a lot more from Cairns. We stayed there for 3 days over Christmas and it rained the whole time! So a tip for you: If you want to travel northern Australia, be sure to visit during the Australian winter. In the summer, Australia’s northern regions experience the wet and rainy monsoon season. Disappointingly, Cairns was rather boring. There is a lagoon and a couple of restaurants but nothing too exciting. I hope you got a little insight into my fun-filled and exciting road trip! You should also check out my Instagram account @fabianxarnold and if you have questions you can email me. I look forward to your feedback and wish you a nice time.